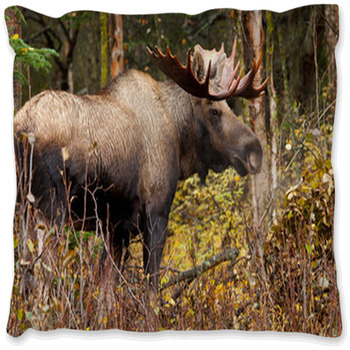 Moose bedding gets its signature style from portraying one of the largest and most majestic animals around. 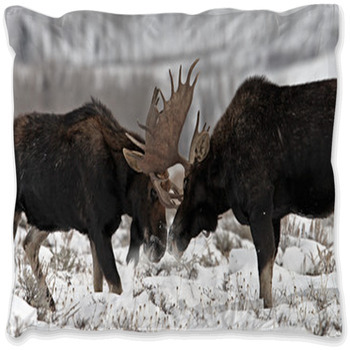 While remaining ever popular and spanning a range across several National Parks makes the moose a great choice for a custom comforter or duvet cover design. 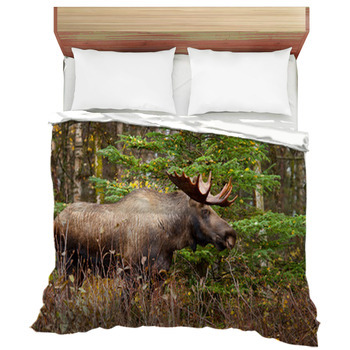 And though it may be slow moving its grace and large stature are sure to bring a touch of the wilderness to a bed near you. 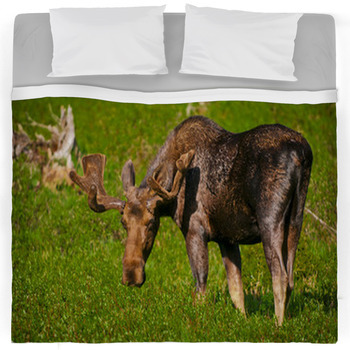 A moose bedding design takes your bedroom decor to a whole new level with its antlers spreading several feet wide right on your personalized bed. 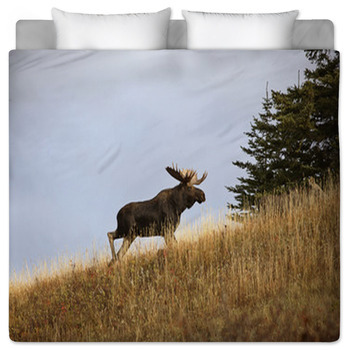 And while the moose may be able to wade through clear mountain lakes without getting cold a personalized duvet cover or comforter will keep you warm all night. 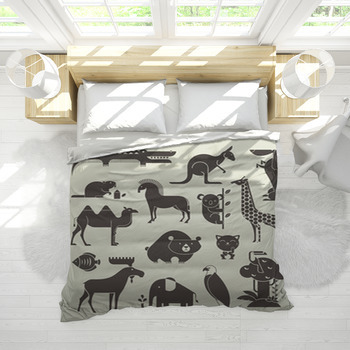 And adding a custom bedding design to your room creates a style like no other guaranteeing you and your family unique decor experience. 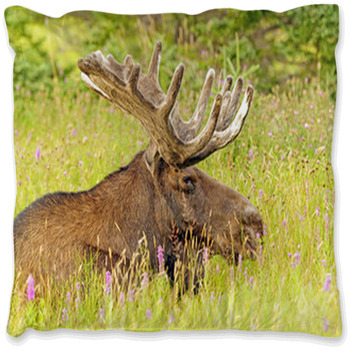 From grand mountain lakes to pristine forests our moose bedding designs offer not only a majestic animal but also the beautiful terrain in which it loves to live. 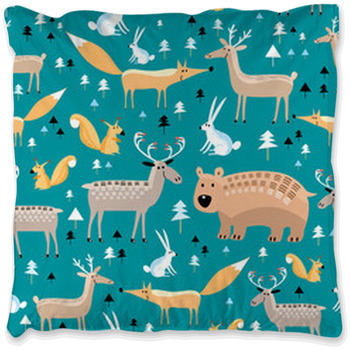 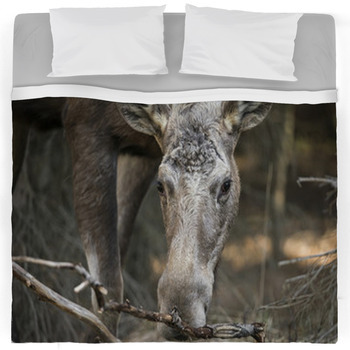 One of a kind bedding is about more than lakes and forests however, even with a beautiful moose among the trees. 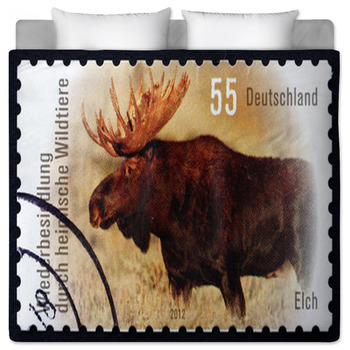 A personalized design turns a bedroom into that special place where you love to relax and fall asleep in comfort. 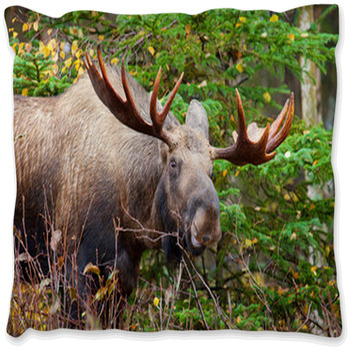 Our designs give that unique touch to home decor for those of all ages who love the outdoors and especially the majestic moose.